Energy conservation is probably not the first thing that comes to mind when you think about freeways jammed with idling vehicles. But in California, which has some of the most congested freeways in the country, that’s about to change. The California Energy Commission (CEC) has approved a pilot program in which piezoelectric crystals will be installed on several freeways. No, these aren’t some kind of new-agey crystals with mystical powers. Piezoelectric crystals, about the size of watch batteries, give off an electrical discharge when they’re mechanically stressed, such as when a vehicle drives over them. Multiply that by thousands of vehicles and it creates an electric current that can be harvested to feed the grid. 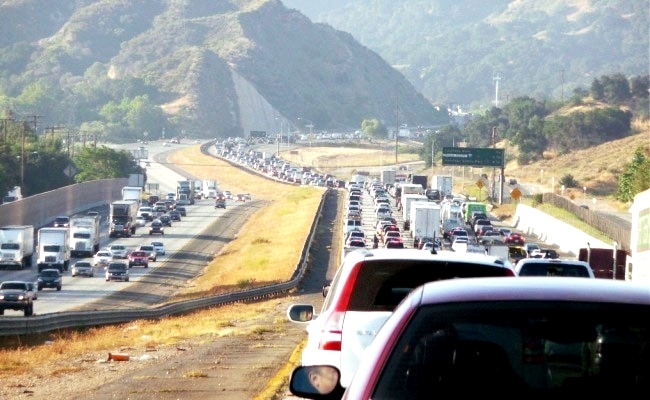 In fact, scientists estimate the energy generated from piezoelectric crystals on a 10-mile stretch of freeway could provide power for the entire city of Burbank (population: more than 105,000). This entry was posted in Economy, Interesting Things, Science and tagged crystal, freeway, Gatto, piezoelectric. Bookmark the permalink.